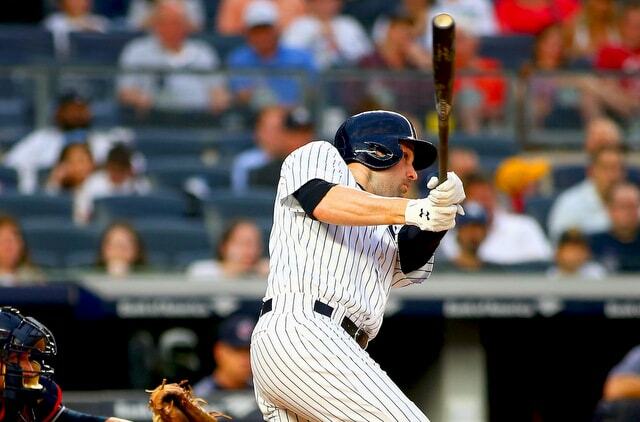 In the middle of Spring Training, the Yankees took advantage of the slow free agent market and signed veteran infielder Neil Walker to a one-year deal worth $4M. Walker is not a $4M player. He hit .265/.362/.439 (114 wRC+) last year and had been no worse than a +2 WAR player every season from 2010-17. Dude could play. The market screwed him over. For the first few weeks of this season, Walker did nothing to justify all the talk about him being such a bargain. He didn’t hit much, and with Tyler Austin coming out of the gate strong, Walker found himself on the bench more often than not. At the end of April he owned a .165/.212/.190 (4 wRC+) line in 85 plate appearances. He was this year’s Randy Winn. Thursday: Leadoff walk to start three-run ninth inning. Friday: Leadoff single to start four-run fourth inning. Saturday: One-out walk to start four-run fifth inning. Sunday: Leadoff walk to start the three-run eighth inning. Tuesday: One-out double to start the go-ahead seventh inning rally. Walker’s been in the middle of everything. He’s gone 5-for-11 (.455) with two doubles in the last five games, drawing six walks against only one strikeout. Walker’s reached base in 12 of his last 18 plate appearances. He was so bad earlier this season that his batting line still sits .198/.288/.242 (47 wRC+) overall, but the production has been there recently. Better late than never, I guess. … two things that are probably related. When Walker was going bad last month, he was expanding the zone a little too often, and because he doesn’t swing and miss a ton, the result was weak contact. Now he’s staying in the strike zone and being rewarded for it. I mean, six walks to every one strikeout won’t continue, but Walker being disciplined isn’t coming out of nowhere. That’s who he is. Chances are Walker’s early season struggles were the result of several things. He had an abbreviated Spring Training, he was joining a new team in a new league, he wasn’t playing every single day, so on and so forth. That doesn’t absolve him of blame or make his early season lack of production less costly. It just means conditions may not have been right for him to come out of the gate strong. Now that Walker has more playing time under his belt, it seems he’s starting to come out of it. Austin has started to come back to Earth, and with Greg Bird’s return still a week or two away, Walker should play every single game at first base against right-handed pitchers. He didn’t do anything last night, but I still believe Austin can crush lefties, so keep running him out there against southpaws. Walker should be the guy the rest of the time though. He’s starting to come around and I expect him to out-hit Austin the rest of the way. What happens when Bird returns? Eh, worry about that when the time comes. The Yankees originally intended to use Walker as something of a utility guy at the outset of the season. Some first base, some second base, some third base, some DH, etc. They could go back to that plan, especially if the cooled down Miguel Andujar goes back to Triple-A and Brandon Drury resumes third base duty. We’ll see. 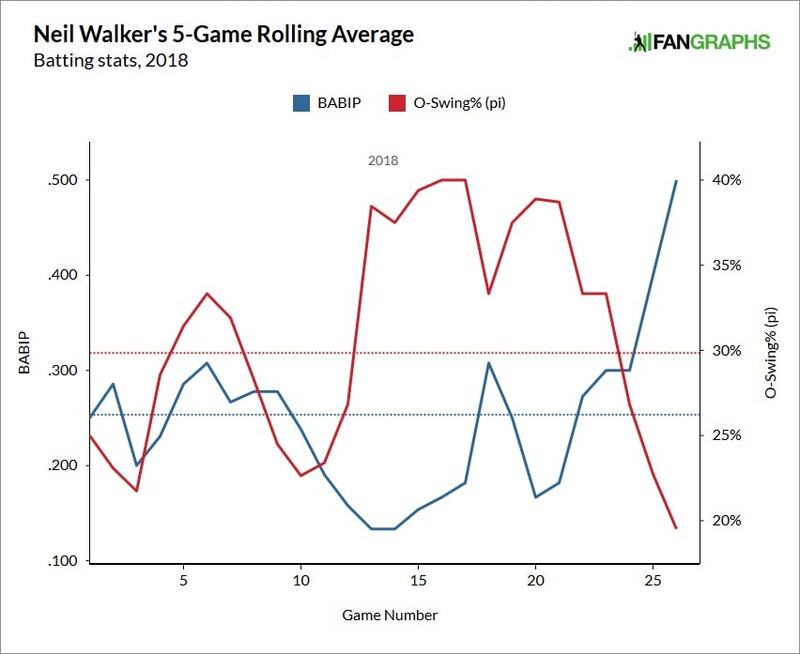 For now, it appears Walker is starting to come out of his early season slump, and it comes at a good time because a few Yankees are slowing down after their hot starts. He’s beginning to look like regular old Neil Walker, the player he’s been his entire career, and it’s better late than never.